Bridges the guild and officer chat of multiple guilds. 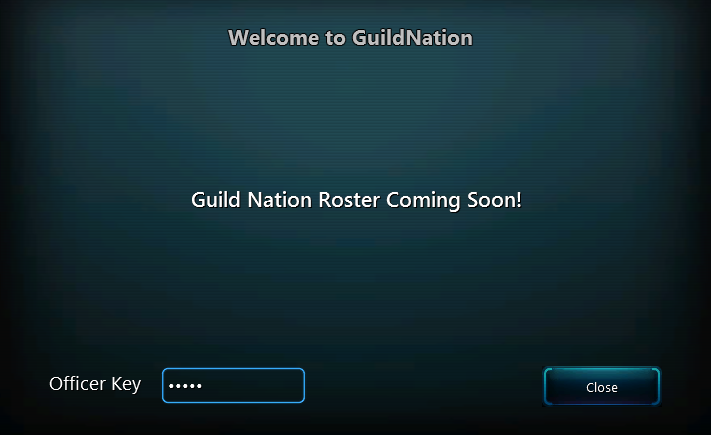 Chat information is shared across a WildStar channel, but the guild and officer channels are encrypted with separate keys. The addon takes its configuration primarily from the Guild Additional Information window. Enter they Officer Key, press ENTER. Then close. At the moment, the addon cannot broadcast "player is online/offline"